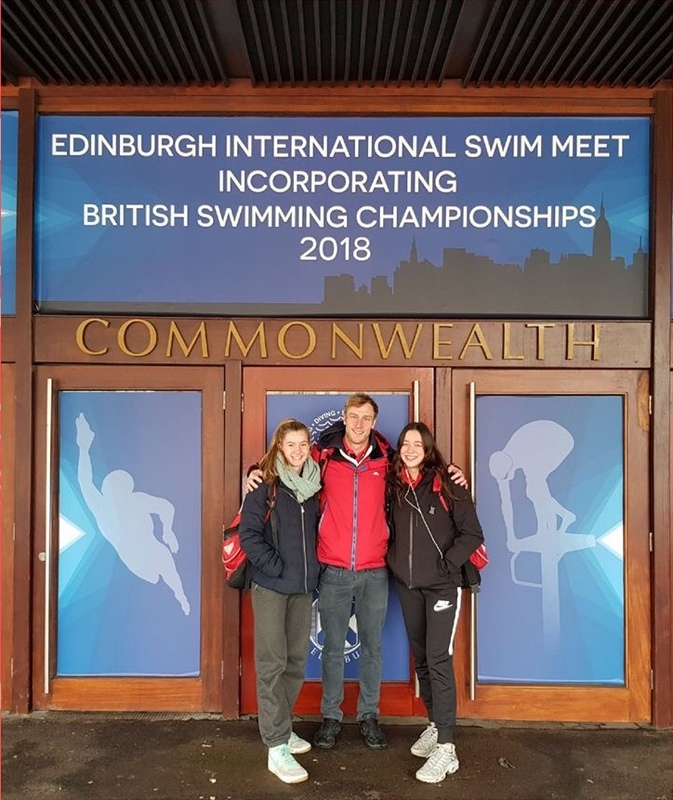 Anaconda SC were again represented at the British Championships which were held in Scotland as part of the Edinburgh International Meet and put our swimmers up against the elite of British swimming as the host country swimmers used the meet as race practice for the upcoming Commonwealth Games. 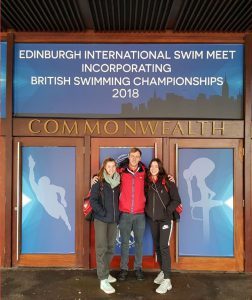 Elena Dewhurst and Alice Hockey gained valuable experience against a strong field of both senior and junior swimmers from across Europe. The girls also had to battle against the “Beast from the East” as snow and ice throughout Britain made for very treacherous travelling conditions. The girls had hazardous journeys by rail and car to Edinburgh and Elena in fact just made it in time to have a quick warm up and then compete in her first race, not ideal preparation but Elena and Alice took it all in their stride. Elena made it to the Junior Final of the 50m freestyle with a heat time of 26.99 and then went faster in the final with 26.91 to finish 7th. 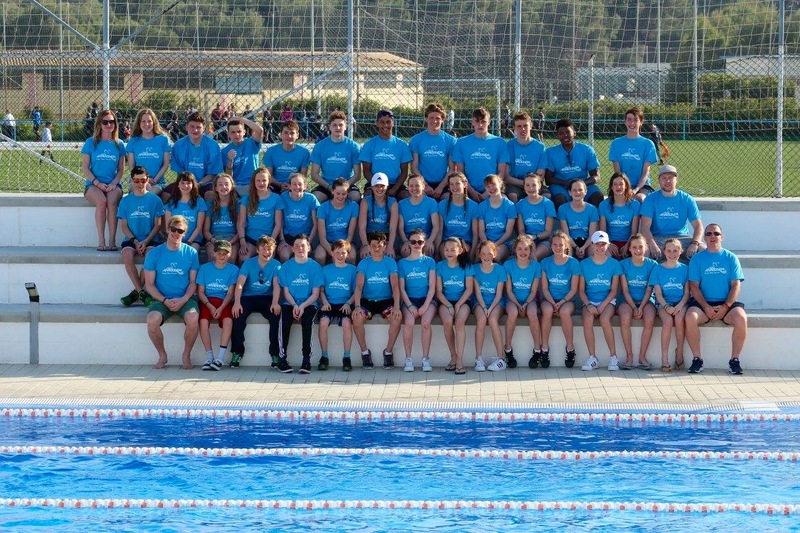 Elena also took part in the 100m freestyle (1:01.59) and 50m fly (29.47). Alice qualified for the 50m breaststroke and posted a time of 35.83. The girls were lucky enough to have their photo taken with Olympic and World Champion Adam Peaty afterwards to cap a great weekend. Tommy Donovan and Anatoly Bugakov also qualified for these championships but were unable to travel due to all trains/planes being cancelled due to the extreme weather.